Brought to you by the Bourbakistas. Click here: This is the main online archive. Click here for a PDF version of the SGA scans. These were created by Antoine Chambert-Loir and are bit smaller than than the PS ones (see below), and Adobe Acrobat displays them faster than gv. Click here for dvju, ps, and pdf scans of SGA5, made by Vincent Maillot. Click here for a printable and viewable postscript version of the SGA scans. The French have official scans of EGA, and some of Grothendieck's papers. Here is a local mirror of their EGA files. "Somebody", who wishes to remain anonymous, kindly made available an alternative collection of scans of SGA and EGA in an obscure, very small FAX format. Andrew Archibald has converted these faxes into djvu format, which is even smaller and more standard. His web page has more information and support for reading the scans over the web using the appropriate plugins, and some files even have inlined OCR'd text. Bas Edixhoven is heading up a project to typeset all SGA in Latex. 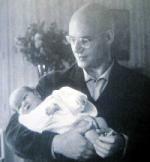 View a few pictures of Grothendieck. The Grothendieck Circle's goal is to "make publicly available (and in some cases translate) the material written by and about Alexandre Grothendieck, as well as to provide biographical material on Grothendieck's life and his origins." There is a constantly growing English translation of Grothendeick's Récoltes et Semailles, which is a sort of autobiography of Grothendieck. This is part of the Grothendieck Biography Project. Here part 1 of an article about Grothendieck, which is from The Notices of the AMS. The paper From Grothendieck to Connes and Kontsevich. 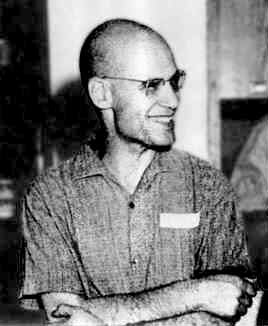 Excerpt: "[Grothendieck] enjoyed playing the role of a modern Socrates, and was given a suspended sentence of six months in prison and a fine of 20,000 francs. It seem to me that his definitive break with science dates from this incident."